President’s Day was established in 1885 as a day to celebrate all U.S. presidents past and present. It also seems to be just the right day for me to share the highlights of my visit to the White House with you. Smack dab in the middle of last fall’s Cubs playoff series against the Mets, on the same day that Vice President Joe Biden walked into the Rose Garden to announce to the world that he would not be pursuing a run for the White House, I was…well, I was there in that hardworking garden. 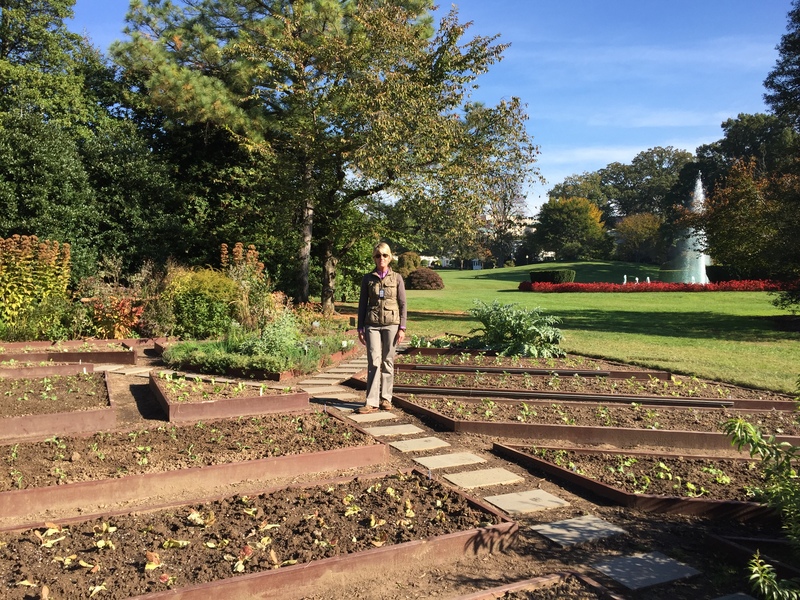 I’d been invited to visit the vegetable garden at the White House and tour the grounds. I repeat, I was at the White House visiting the First Lady’s Kitchen Garden! 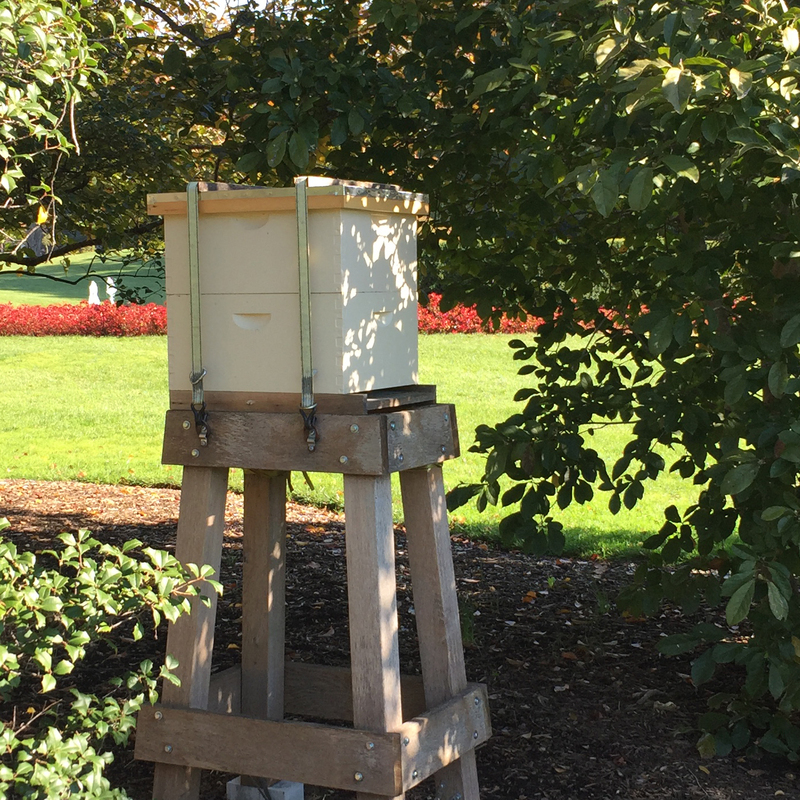 The White House beehive supplies the first family with honey. The White House is “The People’s House” and its garden is the iconic “America’s garden.” I’d come on a visit facilitated by Andrew Bunting, director of plant collections and assistant director of the Chicago Botanic Garden—a fresh leader in a generation of garden advocates, a man with gardening friends in high places, possessing the ability to cut through red tape with a machete (stealing a lyric from a Cake song). The White House gardener, Jim Adams, graciously received me as a consultant for the White House Kitchen Garden, an arrangement we’d made when he visited the Regenstein Fruit & Vegetable Garden only a month before. Established in 1791, the President’s Park is the official name for the 82 acres surrounding the White House. Originally laid out by Pierre Charles L’Enfant, a Frenchman who fought in the War of Independence, the French formal perspective stands today much as it was planned. Working with George Washington, a farmer and horticulturist, together they envisioned the official residence surrounded by a botanical garden, and the building began. John Adams became the first president to occupy the White House in 1800, and he requested that a vegetable garden be plowed as a means to supply fresh produce for the nearly 30 people he was responsible for feeding. His request was never realized as he lost his bid for reelection to none other than America’s founding gardener, Thomas Jefferson. 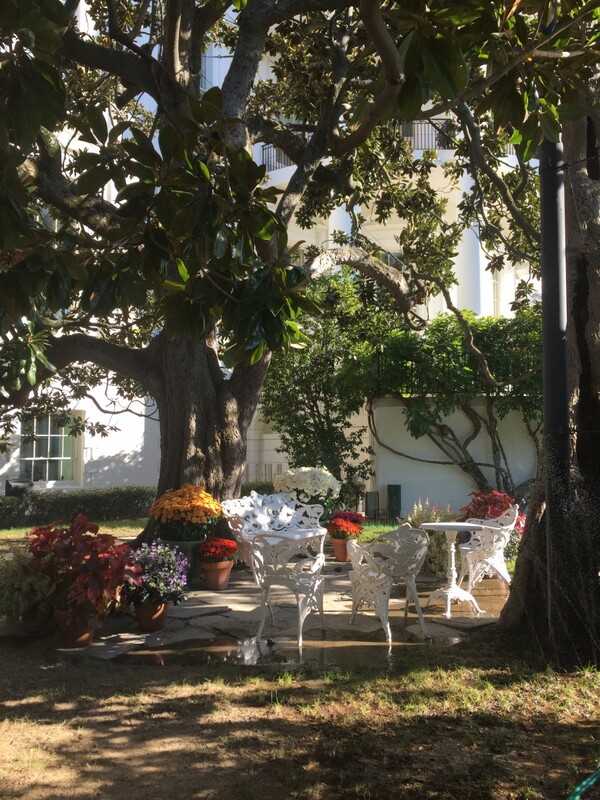 Our third president had a strong interest in plants and took on the planting of specimen trees around the grounds and cultivated figs, strawberries, orange trees, and his favorite geraniums inside his sunny office. While none of his trees survive today, it was he who planted rows of sycamore, poplar, and cedar with oak, chestnut, and linden trees on the north side of the White House. (The south grounds were more private and pastoral in design, and eventually iron fences secured the interior 18 acres of private garden around the house, dividing it from the public garden.) Today, 500 trees thrive within this iron fence. As one of the earliest proponents of forestry in the United States, President John Q. Adams planted an American elm (Ulmus Americana) in 1826. (With all the monumental trees, there is a succession plan, so when it needed to be removed in 1991, Barbara Bush’s propagated replacement was planted in the same place.) In 1830, President Andrew Jackson planted the famous Magnolia grandiflora. President Rutherford B. Hayes planted Ohio buckeyes (Aesculus glabra) in honor of his home state. Hayes was the president who introduced the idea of planting commemorative trees to honor presidential tenure or upon historical events. He wanted a tree representing each president and his state as well as each state in the Union. 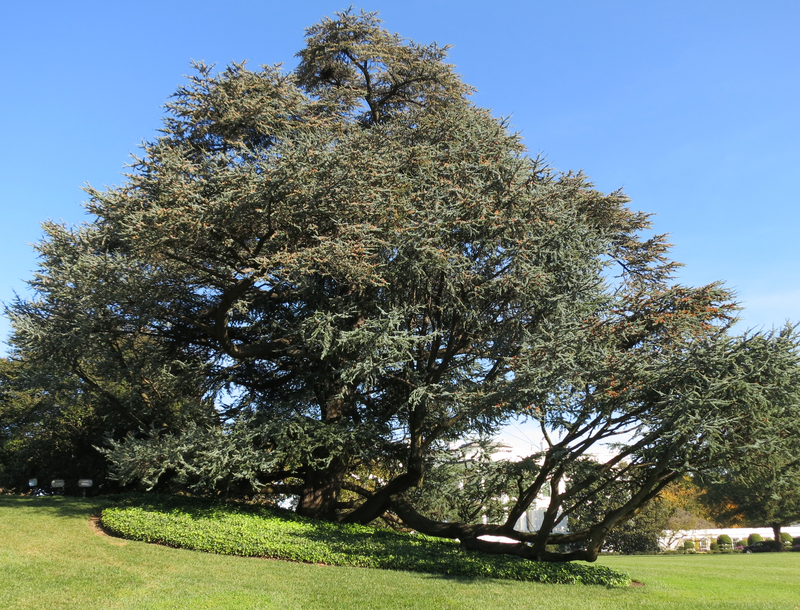 Today, 40 commemorative trees stand on the grounds, cultivated to be excellent specimens of their genus. President Dwight D. Eisenhower planted northern red oak, Quercus rubra in 1959, President John F. Kennedy planted four Magnolia × soulangeana in 1962. President Clinton planted a pair of white dogwoods, Cornus florida, and President Barack Obama planted littleleaf linden Tilia cordata in 2009—the same tree President George H.W. Bush planted with Queen Elizabeth II in 1991. I held the shovel that commemorates the day each president dug the first shovelful of soil to plant his great tree! As we walked around the grounds, passing by the putting green and the basketball court, the deeply personal nature of this botanic backyard garden became clear. I could only imagine the solace the garden provided to the families and children while they lived here. This was most evident in the intimate Children’s Garden that had been added to the south lawn by Lady Bird Johnson. Many of the presidents’ grandchildren have impressions of their hands of the paths of this secret garden. Making our way down to the southwest corner of the lawn, we finally arrived at the White House Kitchen Garden. Centuries ago, President John Q. Adams planted fruit trees, herbs, and vegetables on the grounds; First Lady Michelle Obama was the first to plant vegetables since the Roosevelts planted a Victory Garden at the White House. The four-season garden is grown in raised beds planted with more than 50 varieties of seeds, many of them heirlooms. One of the beds commemorates the varieties Thomas Jefferson planted in his garden at Monticello. Heirloom lettuce, brussels sprouts, beets, kale, and artichoke seed have been saved and passed down in preservation of our agricultural history. Mrs. Obama intended the garden to be an instructional space, emblematic of her concerns about food security, childhood obesity, and her Let’s Move initiative. I had a chance to meet Cris Comerford, White House chef, in the kitchen to confirm that the bountiful garden harvest is regularly used for State dinners and family dinners. The White House gardener of today is a weather watcher, as the founding fathers and colonial gardeners were. 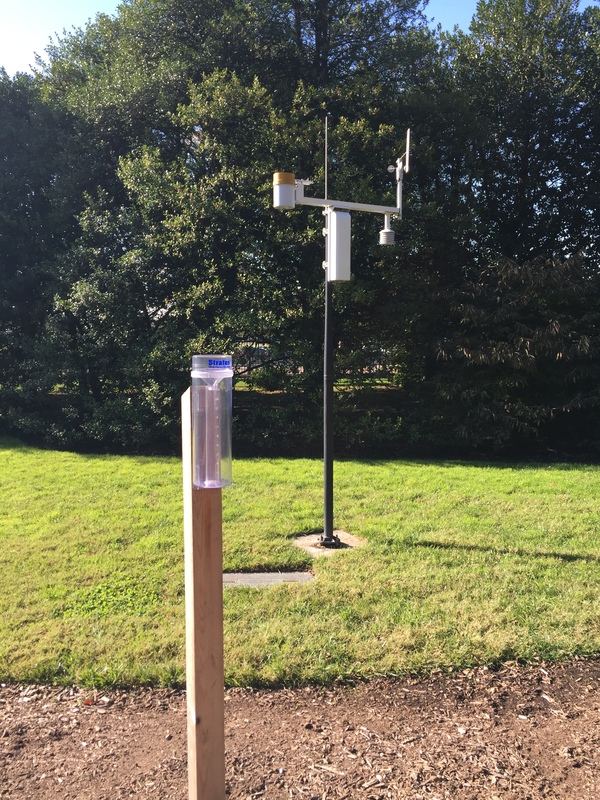 A rain gauge was installed in the First Lady’s vegetable garden in March of this year, where it not only informs the schedule for watering the lawn but also monitors amounts and reports to the largest Community Collaborative Rain, Hail, and Snow Network (CoCoRaHS). It collects precipitation amounts while also contributing to a broader citizen science effort documenting regional weather patterns and snow. Just as we got the word of the impending press conference in the Rose Garden, we needed to clear the grounds. 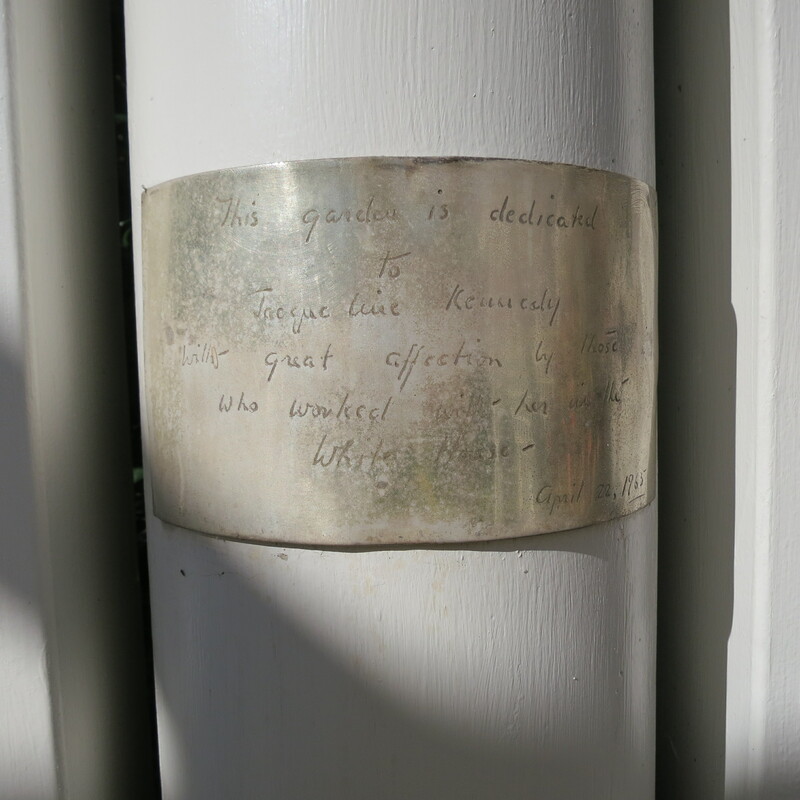 On our way back in, I noticed a silver plaque on a pillar and marveled at the affectionate handwritten note, thanking Jaqueline Kennedy from those who worked with her in the White House. I asked Bo and Sunny not to dig in the garden. 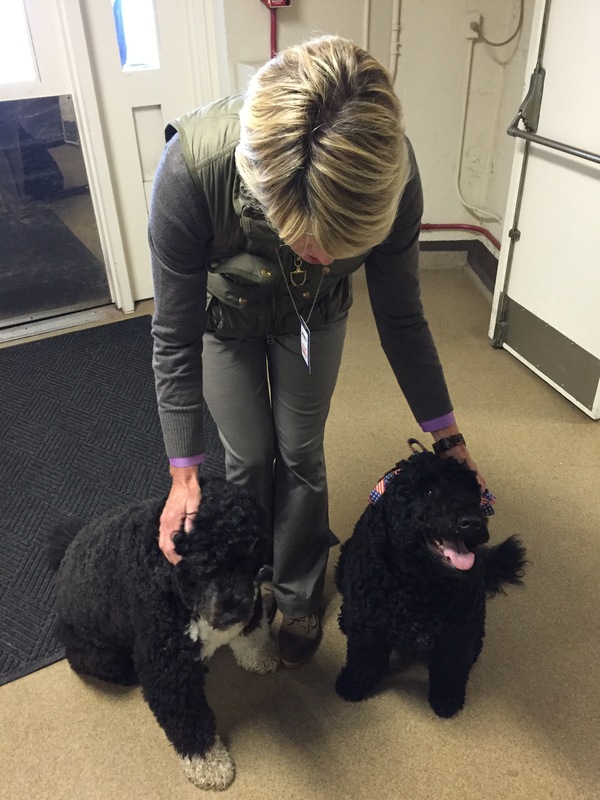 Only Sunny needed a leash (which is appropriately patriotic)! My memories galvanized forever in my heart, I’ve returned to the Regenstein Fruit & Vegetable Garden with a new appreciation for our connection to the broader national perspective of growing food as a democratic expression of individuality, health, wellness, self-reliance, and honor. This President’s Day, we can feel proud that our work at the Garden is part of this national movement. What a wonderful adventure, and such a delightful historical perspective of the White House garden. Thank you, Lisa! Let us all hope that the future President, he or she, continues this wonderful gardening tradition! Thanks for your comments Suzy, I totally agree with you! The broad message of self reliance gained in growing your own food is invaluable to all Americans. Kudos to Chicago’s own First Lady, Michelle Obama! What a grand informational piece of “the peoples garden” and all that it historically offers to each one of us as reflect on our American heritage and how gardening has impacted not only our founding fathers, but, their successors, and in many respects ourselves….thank you for sharing! Lovely comment about the post, thank you. I find a reassuring commonality we share as all American gardeners! Today, the opportunity to shift the system by caring more deeply about the quality of our food as local, diverse, and fresh may be extraordinarily effortful but is down right good and just. A wonderful and inspiring post. You are very fortunate to have experienced this garden first hand. Thanks for your comment W, I am indeed grateful for this experience and inspired to grow many of the plants- rattlesnake beans, scotch kale and tennis ball lettuce from the historic planting plan of Monticello and todays White House Kitchen Garden right here in the Regenstein Fruit and Vegetable Garden with the mission of connecting our 1,000,000 visitors from Chicago and the world to this rich American gardening history. It should be used in classrooms for President’s Day. We need some pride in our country and your info definitely would enhance and inspire that. Thank you Lynne. We can all take pride in our rich national collections, have gratitude to live in this great country and teach our children civic duty and pride! The suitably dignified state of the grounds around the White House given what I can only imagine to be a constant whirl of political activity within the walls was reassuring and underscores the intrinsic value of gardens. I’m really surprised that none of the previous administrations had gardens, but very glad that you got to witness this one. Thank you for the vicarious adventure!